We are very pleased with the shelving and drawer units you made for us. And thank you for the screws and rawpugs you supplied everything is now fixed in place and looking fantastic. We now count 3 different pieces of Ian Edwards furniture gracing our home – a few years ago I bought two mini CD units from you. We are very pleased indeed! Derek Hyde, Yorkshire. 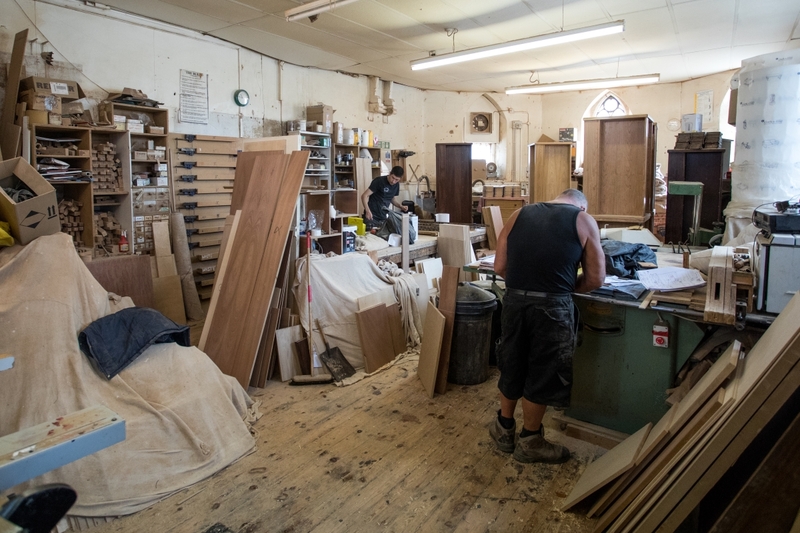 Makers of fine furniture, we are a small closely-knit team of men and women ranging in age from 17 to 70, mostly originally trained by Ian Edwards in the 70s, 80s and 90s. 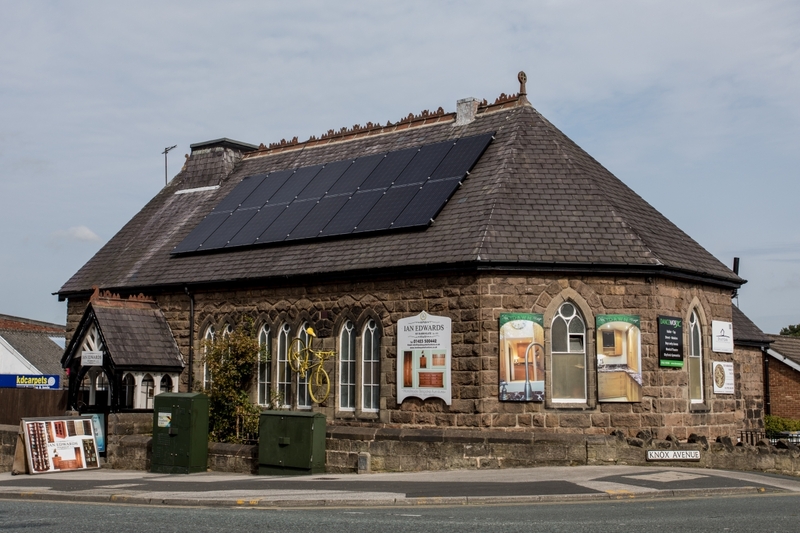 No ordinary enterprise, we are housed in a converted chapel in the elegant North Yorkshire town of Harrogate – famed for its flowers and music concerts – where a dedicated team of woodworkers produce a very wide range of quality furniture for you the connoisseur. We make hand made hand polished furniture on a very small scale. We don’t make upholstered furniture. Or flat packs you have to assemble yourself. A combination of wood veneered boards with solid edges and solid frames on our doors. Many units are available in simulated wood too which are equally well contructed and actually 20% cheaper. I’m very pleased indeed with the furniture delivered this morning. Thank you for making such excellent furniture. Michael T Roger. I’ve just returned from holiday to find two beautiful CD cases safely installed in my office. They look superb! Keith, Yorkshire.